Garlic is a root herb used for centuries throughout the world, especially in the Mediterranean. Added to all types of main dishes, dips, and side dishes, garlic brings a distinctive savory flavor to any food. Garlic has also been used as a medicinal herb all over the world. Today, you’ll find that garlic is well known to provide many healing benefits, according to proven studies. Garlic has been recognized for thousands of years for its potential as a medicinal herb, due to its content of a chemical compound known as allicin. 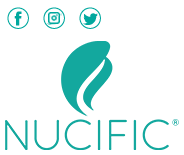 But it also offers an impressive nutritional profile, including high amounts of naturally occurring sulfur, antioxidants, vitamins, and minerals. For this reason, and many others, eating more garlic may boost your health. One of the main health benefits of garlic is its ability to help maintain a strong, healthy cardiovascular system. In one recent study published in the Journal of Nutrition, results revealed that participants with high blood pressure and imbalanced cholesterol levels experienced a reduction in these risk factors after taking a garlic supplement containing 2,400 milligrams of Aged Garlic Extract (AGE) when compared to placebo. 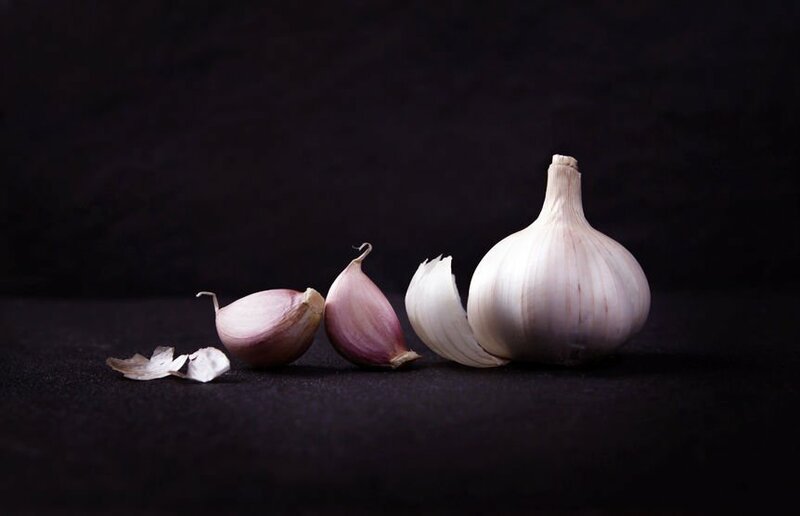 One clinical review of the available literature on garlic and cardiovascular health showed that out of all human studies using garlic supplementation, results consistently revealed a reduction in both systolic and diastolic blood pressure. Adding garlic to your diet may be just what the doctor ordered if you are aiming to keep away common infections like that of the cold or flu. Studies have confirmed the ability of garlic to help boost your immunity via activation of immune cells, including lymphocytes, γδ-T, and natural killer (NK) cells. This compound has been shown to offer some of the most potent antimicrobial activities of any food on the planet. Garlic isn’t just good for what’s inside your body — it’s good for what’s on the outside as well. Of course, garlic is no substitute for daily application of a broad-spectrum sunscreen that shields your skin from both UVA and UVB rays. You may not realize just how many ways there are to incorporate garlic into your diet. And while cooking up traditional cuisine is a great way to get to know garlic, here are five somewhat sneaky ways to get more of it into your mouth. This high-potency extract of garlic can be purchased, or made right at home. Used for thousands of years to deliver the volatile substances of medicinal herbs and spices, you can use the method of tincture making to create a substance you can use in the kitchen, or just to take orally as a supplement. Peel, clean, and chop up one large clove of garlic. Then, add the clean cloves to a glass jar with a lid that seals out all of the air. Add about 1 cup of top-shelf vodka to the jar, or, alternatively, white vinegar. Then place the jar on a flat, stable surface in a dark room where it can stay for a few weeks. Add a piece of masking tape to the jar, and write the contents, date, and time on it. After about 2-3 days, give the jar a good shake, and every 2-3 days after that for up to 3 weeks. After 3 weeks has passed, you can strain out the garlic from the solvent, and store it in a dark glass dropper bottle. Always choose a storage bottle that is brown or blue to protect the active compounds from light damage. To use the tincture, simply add a few drops to your favorite recipes for flavor, apply it to your tongue directly, or add it into beverages for a spicy nutrient boost. 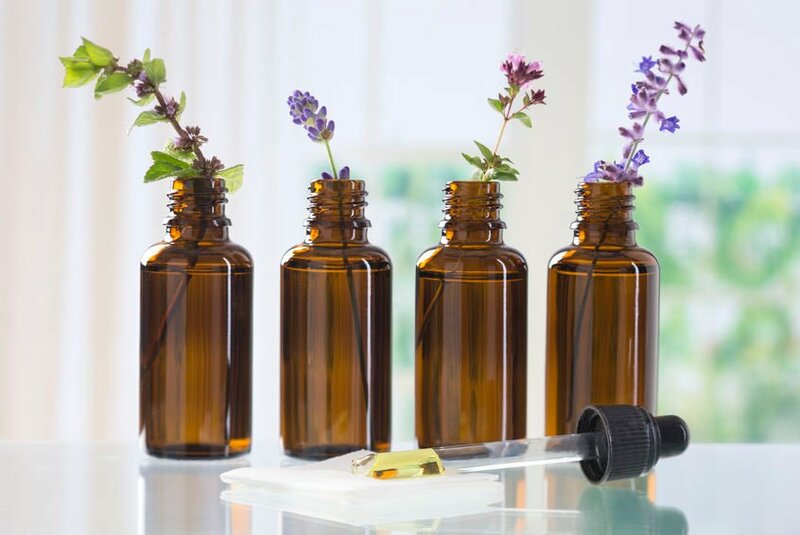 Essential oils are also known as volatile oils, because they contain potent amounts of the active, volatile chemical compounds extracted from plant matter, including herbs, bark, flowers, and stems. Used in aromatherapy, essential oils have been proven to offer countless health benefits, as simply inhaling them stimulates the body through the olfactory nerve in the nose.8 So, you don’t have to suffer through garlic-y bad breath to gain all of the health benefits! You can purchase garlic essential oils at your favorite health store, however, making these types of high-potency extractions is very difficult at home without proper training. When it comes to incorporating garlic into your diet, you probably never thought about swallowing the cloves whole like a pill. But you can! In fact, health professionals recommend this method of consuming garlic as an alternative to eating it, to increase the amount you can actually consume in raw form. Swallowing whole garlic cloves also allows you to bypass the stinky breath garlic usually leaves behind. Here is just one recipe for a lacto-fermented vegetable blend including garlic, called kimchi. Clean all of the vegetables in a large colander, and then pat dry. Prepare the vegetables as indicated in the recipe. Then place all of the ingredients in a large mixing bowl, and combine thoroughly, with your hands or a wooden spoon. Once you have combined all of the ingredients, you can begin to add it into the canning jars. Pack the jars ¾ of the way full with the vegetable mixture, leaving enough room to add the water. Then add in the water, and cover the opening of the jar with a clean, dry coffee filter. Then you can secure the lid, and set the jar aside on a flat surface to set for 24 hours. After one day, open the jar to allow the gases to vent, and re-seal the jar. You can then leave the mixture on the counter to ferment up to 1 full week. After the fermentation process has ended, you can taste the kimchi, and adjust it for your preferences. Then place the finished kimchi in the refrigerator for up to one month. You can eat garlic kimchi right out of the jar, or add it to salads, main dishes, and sides to spice up any meal! 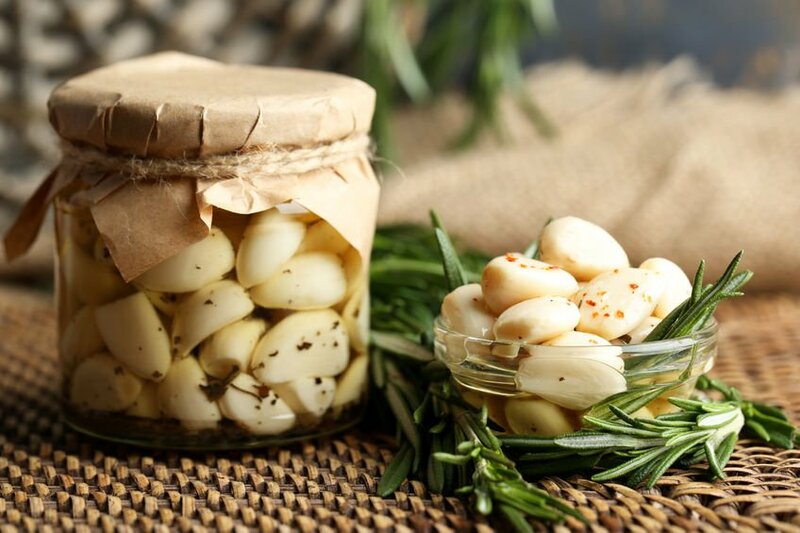 One of the most common ways to incorporate garlic into your diet is through roasting recipes. You can roast garlic along with ANY vegetables you choose, or you can roast it on its own. Preheat your oven to 400°F (205° C) or use a toaster oven. To prepare the garlic for roasting, peel away the outer layer of the whole bulb with your fingers. Allow the inner layers of the papery covering to remain between the individual cloves. Using a sharp knife, cut between ¼ – ½ inch from the top of the cloves, to expose the individual cloves of garlic. Then place the cloves with the exposed side upward, in a baking pan. You may choose to drizzle olive oil on top of the cloves to improve the flavor, texture, and appearance of the finished cloves. Cover the bulbs completely with aluminum foil, and then bake them at 400°F (205°C) for 30-35 minutes. When the cloves are finished baking, allow them to cool on a flat surface until they are cool enough to touch. You’ll know the cloves are finished when you can squeeze them, and they are soft when pressed. Use a small knife to cut away the skin, just slightly around each individual clove to remove them from the larger bunch. Then with a fork, or your hands you can pull away each piece to use in your recipes, or just dust them with parmesan cheese, and toss them in your mouth. It’s up to you! No doubt, garlic is one of the healthiest foods you can eat. Used for centuries in natural remedies for fighting off common infections, increasing blood flow, reducing arterial plaque, and even warding off vampires—just kidding about that last item. 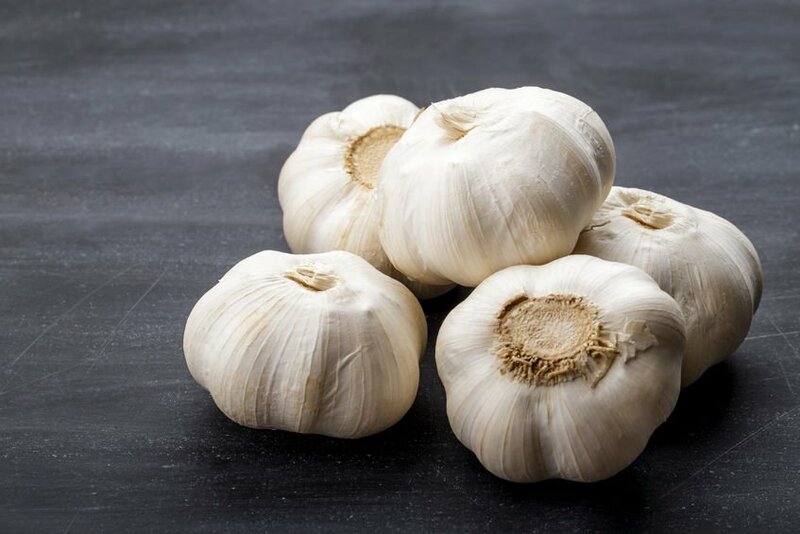 You can use garlic for these (and many more reasons) right in your own home.10 Add it to your favorite foods for flavor, and also try these five ways to sneak more garlic into your diet for a much-needed health boost! 1. Suguru Matsumoto, Rine Nakanishi. 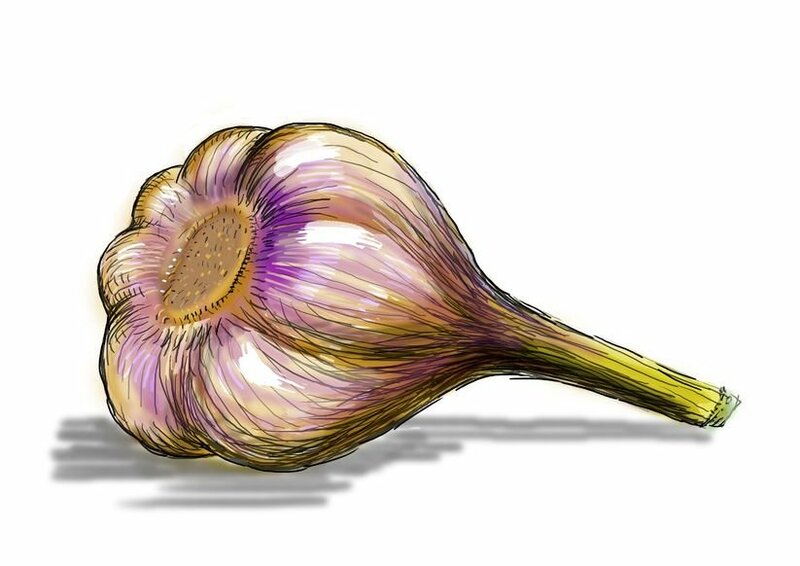 Aged Garlic Extract Reduces Low Attenuation Plaque in Coronary Arteries of Patients with Metabolic Syndrome in a Prospective Randomized Double-Blind Study. Journal of Nutrition. 2016. 2. Rahman K, Billington D. Dietary supplementation with aged garlic extract inhibits ADP-induced platelet aggregation in humans. J Nutr. 2000 Nov;130(11):2662-5. 3. Khalid Rahman, Gordon M. Lowe. Garlic and Cardiovascular Disease: A Critical Review. J. Nutr. March 2006 vol. 136 no. 3 736S-740S. 4. Sobenin IA, Andrianova IV. Lipid-lowering effects of time-released garlic powder tablets in double-blinded placebo-controlled randomized study. J Atheroscler Thromb. 2008 Dec;15(6):334-8. Epub 2008 Dec 6. 5. Percival. Aged Garlic Extract Modifies Human Immunity. J Nutr. 2016 Feb;146(2):433S-436S. 6. Linus Pauling Institute, Garlic and Organosulfur Compounds, Micronutrient Information Center, Corvallis, Ore, USA, 2008. 7. Ankri S, Mirelman D. Antimicrobial properties of allicin from garlic. Microbes Infect. 1999 Feb;1(2):125-9. 12. Babar Ali, Naser Ali Al-Wabel. Essential oils used in aromatherapy: A systemic review. Asian Pacific Journal of Tropical Biomedicine. Volume 5, Issue 8, August 2015, Pages 601–611. 13. Park KY, Jeong JK. Health benefits of kimchi (Korean fermented vegetables) as a probiotic food. J Med Food. 2014 Jan;17(1):6-20. 14. Leyla Bayan, Peir Hossain Koulivand. Garlic: a review of potential therapeutic effects. Avicenna J Phytomed. 2014 Jan-Feb; 4(1): 1–14.